Despite what the police may tell you, you do have rights if you are a suspect in a criminal investigation. It is critical that you understand your rights and exercise them. This is true whether you are guilty of committing the crime or completely innocent. If you are innocent, it would be a big mistake to take the attitude that you have nothing to hide. The reality is that innocent people are charged with committing crimes and are sometimes found guilty and imprisoned. Here, we explain what your rights are and how to invoke them. Being targeted as a suspect by the police can be a terrifying experience. You need to remember that the police can lie to you and trick you in an effort to get you to answer questions. Their goal is to get information from you that they can use to prosecute you for one or more crimes. While the police may have extensive tools at their disposal to investigate the case, those accused of crimes have important protections granted by the United States Constitution that can help when being faced with tough questions from the police. The rights discussed below are some of the essential rights granted to individuals who are the subjects of police investigations. Right to leave. If you have not been taken into custody, you have the right to terminate contact with police at any time. This means that you can stop talking to police, leave the scene, or take any other lawful action you otherwise would be permitted to take if not under arrest. 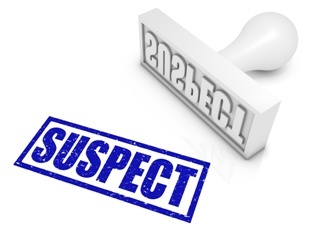 A suspect is typically in "custody" when they have been formally arrested. If you have not been put in handcuffs, you may still be in custody. If there is any question as to whether you are in custody, ask the officer. If the officer says that you are not in custody, you can ask to leave or simply try to leave the scene at that time. Right not to be searched. The 4th Amendment protects people from unreasonable searches and seizures of their property and person. The police typically need a warrant to conduct any type of search, but there are many exceptions to the warrant requirement. If any of the exceptions to the warrant requirement exist, the police may search you or your property without a warrant. When officers do not have a warrant, they will often ask for permission to conduct a search of the person or the property. If you agree to such a search, then you will have no legal basis to try to undo that search later. However, if you do not permit the police to conduct the search, you have preserved your potential rights against warrantless searches and seizures and may be able to suppress evidence found as part of the warrantless search once the case gets to court. Right to stay silent. Regardless of the circumstances, you always have the right to remain silent under the 5th Amendment when being questioned by the police. Even if you first tell the police you want to talk to them, you can withdraw that permission at any time. No matter when you invoke the right to remain silent, you must do so unequivocally. In other words, when you invoke your right to silence, there must be no question in the mind of a reasonable person that your intent was to remain silent from that point forward. If you decide to make statements during an interview or interrogation, anything you say may be used against you later in court. It is usually best to avoid talking to the police until after you have had a chance to speak to your attorney in order to figure out what your potential criminal exposure is, what your defenses are, and how best to handle the situation. Right to an attorney. You have the right under the 6th Amendment to have an attorney present with you at every critical stage of the case once the right to counsel has attached. The right to counsel under the 6th Amendment attaches when formal charges are initiated (e.g., once an arrest has been made or an arraignment performed). The 6th Amendment assures the accused that they will have the right to have an attorney handle their case from start to finish. You also have the right to counsel under the 5th Amendment through the Miranda advisement. The Miranda advisement requires police to inform suspects of their right to counsel. The right to counsel under the 5th Amendment attaches when custodial interrogation of the suspect occurs. If a suspect seeks to invoke his right to counsel during the custodial interrogation process, he must clearly state that he wishes to either speak with an attorney or have one present during the interrogation. Something ambiguous, such as "What about a lawyer?" or similar statement, may be interpreted as being too ambiguous to invoke the right to have an attorney present. Remain calm and polite. Keep your hands where the officer can see them and do not run from police when they try to approach you. The more calm, cool, and collect you are, the better. Do not interfere with the police or obstruct them. If you see police giving someone a ticket or interacting with someone in that way, do not interrupt them. You are free to observe whatever may be happening in public, but you cannot interfere with the investigation or their work. Do not lie or give the police false documents. Providing a false identification to a police officer is a class I misdemeanor. Forging public documents, such as state-issued identification card or driver's license can be a felony. Make preparations with your family as to what to do if you are arrested. Remember all the details of your encounter with the police and write them down as soon as you can. Your interaction with police may be the basis of a legal defense. If you are stopped while in your car, pull over as quickly as possible in a safe location and provide the officer with your driver’s license, proof of insurance, and registration. Remember that you have the right to remain silent and do not have to consent to a search of your vehicle. If you are a suspect, you need to take proactive steps to protect yourself by contacting an experienced criminal defense attorney as soon as possible. An attorney can help you enforce your constitutional rights and may even prevent you from being charged with a crime. We urge you to contact our office immediately to schedule your free consultation if you believe that you are a suspect in a criminal investigation. What Factors May Influence the Outcome of My Criminal Case?